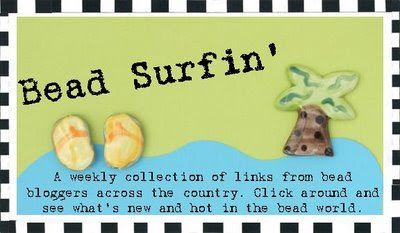 Art Bead Scene Catherine Witherell Visits Art Bead Scene! Bead&Button Magazine Check out Tea's blog about BeadAndButton.com/15 and their 15th anniversary content! Carmi's Art/Life Carmi makes a fabric skeleton pin to wear trick or treating. Carter Seibels for Divali Glass Jewelry Carter unveils some new designs for Fall! Jennifer Jangles Blog Holly Jolly Christmas Designs. Jewelry & Beading Cyndi's taking a look this week at all the informations she's gathered on steampunk style jewelry. Strands of Beads Melissa thinks about snakes and circle links.